Find below a custom Google map of the locations for the 50th anniversary event. The talks and dinner on Friday will be held in the Great Hall of the Alumni Center. Parking for Friday: North Garage is the best option. The talks on Saturday will be held in McHugh Hall. Parking for Saturday: On the weekend you may park anywhere not specifically marked as 24/7 reserved. You may also find the university's official map website of use. 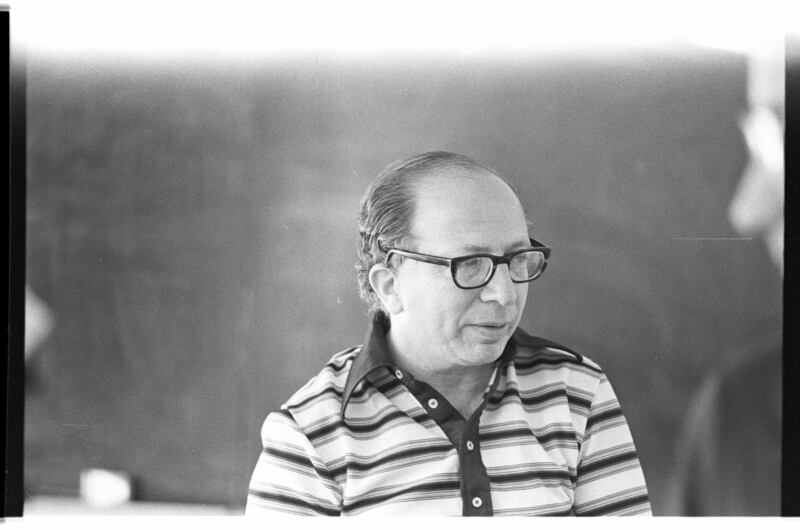 Founding department head, Arthur Abramson, in a photo by John Ohala from the 1960's.